I am sooo excited to see 142 on the scale hopefully this week! I haven't seen 142 on the scale for as far back as I can remember! This past week I was really good with my eating and workouts so I am pleased as punch with my almost-pound loss. I did my 3 weight-workouts (I havent missed a workout in about 2 month now!) and I did a 5km run and 10km run. 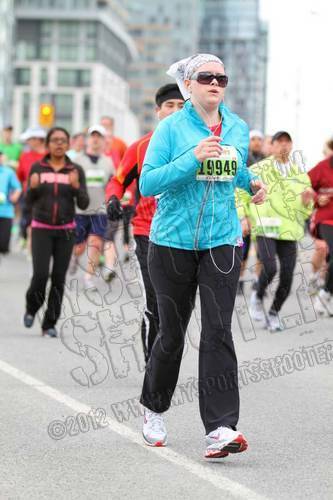 Speaking of 10km runs...my Sportinglife 10K is coming up in just TWO weeks. How on earth did that happen so fast?? I haven't really been working on speed at all, and just getting in a couple runs here and there, so while I 100% can complete the 10K, I have no idea what my time will be. I definitely feel like I have been running slower than normal lately, but races tend to pick me up. The first year I ran it in 1 hour, the second year in 55 minutes, so MAYBE I can aim for sub-55? But as I have said, I haven't worked on speed at all. I guess I will just go out and enjoy myself! 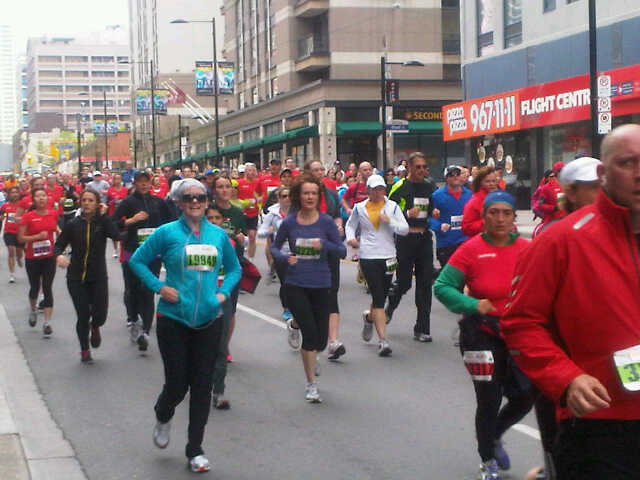 Funny thing I thought of the other day...when I first ran this race I was around 165lbs. You looked great running it at 157! Can't wait for this year's pic. I feel like I look the same as that 157 pic, so I am interested myself! !